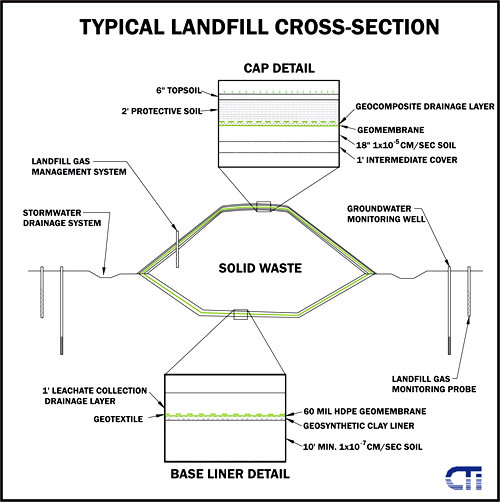 This is a cut-away diagram of a typical contemporary Landfill. It shows the environmental control systems installed to protect air, surface water and groundwater. The diagram is intended for educational use only. It is not an exact representation of the control systems in place at Smiths Creeks Landfill.